If you haven’t heard of “Zoom Rooms,” you will soon. Created by its title company Zoom, Zoom Rooms provide remote conferencing services using cloud computing. Zoom Rooms also offer communication software that combines video conferencing, online meetings, chat and mobile collaboration. In other words, if you are finished being frustrated with Skype or Google Hangouts, Zoom is for you. However, we here at Ford are particularly excited about Zoom’s collaborative potential with the entire AV system. Included with a Zoom subscription is the ability to manage digital signage, scheduling displays and touch screens all from one central Zoom Admin Portal. Even facilities that already have an existing video conferencing system in place can use Zoom’s Conference Room Connector to extend your organization’s standards-based conference systems to the cloud. Compared to other web meeting and video conferencing providers, Zoom is the only option that includes features such as the ability to screen share any iPhone/iPod app and share computer audio during screen sharing. 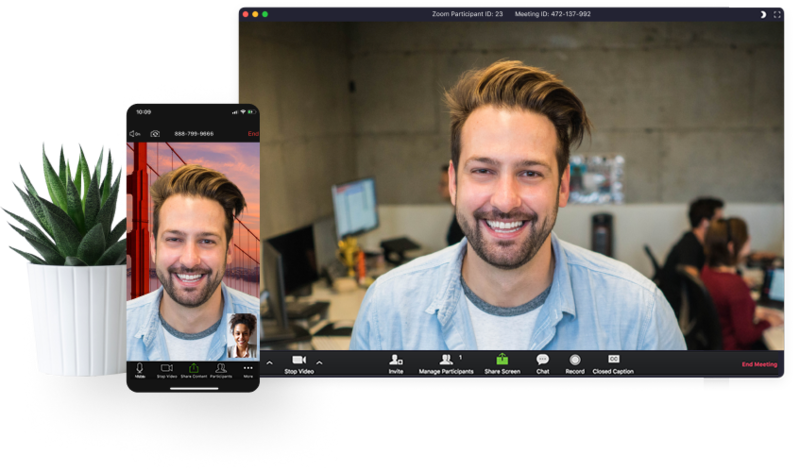 Zoom is also the only teleconferencing software that supports simultaneous screen sharing, H.323/SIP room systems integration, MPEG 4 client recording and cloud recording, mobile collaboration with co-annotation and Linux and Chrome OS support. For all these reasons and more, Ford is proud to say that we are a Certified Integration Partner with Zoom. If you would like to learn more about how a Zoom solution may work for you or give Zoom Rooms a try, please contact us here or by calling 800-654-6744.